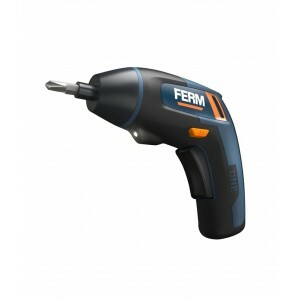 Ferm CDM1108S Li-Ion Screwdriver The machine is delivered in a robust storage case with USB-charger adapter, USB-charger cable, a magnetic bit holder and 10 screwdriver bits. 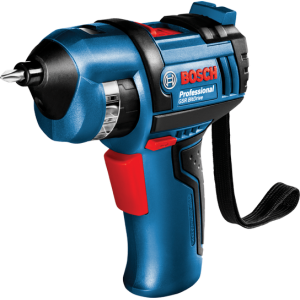 Features: The 3.6V Li-Ion is the most compact ..
Bosch GSR 10.8 V-Li Professional Cordless Screw Driver Features : The most compact lithium-ion cordless Screw driver Extremely versatile, above all in tight spaces and hard-to-reach areas Very compact: smallest on t..
Bosch GSR Pro-Drive 3.6 V-Li Cordless Screw Driver Applications of GSR Pro-Drive:Extremely small and handy fits in your trouser pocket!. 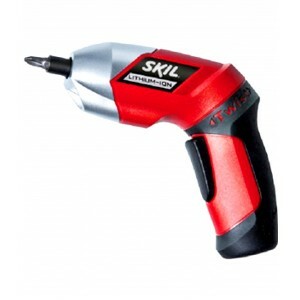 Powerful - 110 screws (3.5x30mm) with one battery charge. 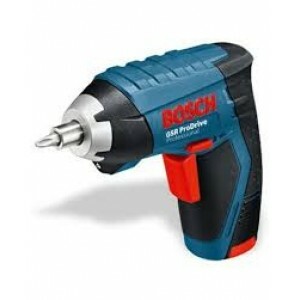 Continuous work due to rechargeable bat..
Bosch GSR BitDrive Cordless Screw Driver 3.6v Li-Ion with easy select Features : The most convenient Screw Driver - Always the right screw bit at hand. 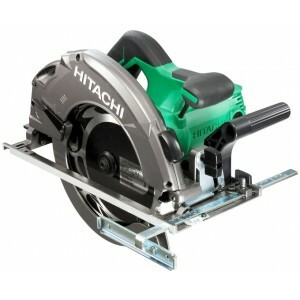 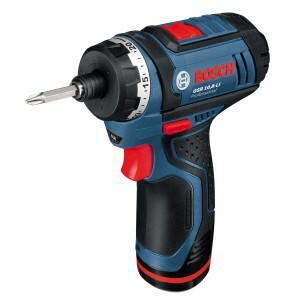 No longer bit searching Innovative Bosch Easy Select function with 12 ..
Hitachi DB3DL23.6V Cordless Screwdriver Features : Convertible to use in angled or straight Max lock torque 5Nm (44 in.-lbs.) 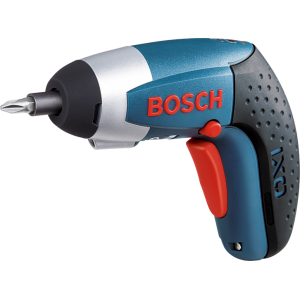 Spindle lock mechanism Adjustable Clutch : 21-stage torque Equipped with Battery Protection Circuit 2pcs ..
Bosch IXO-III 3.6V Lithium-ion Cordless Screwdriver The IXO from Bosch is a practical assistant in every household. 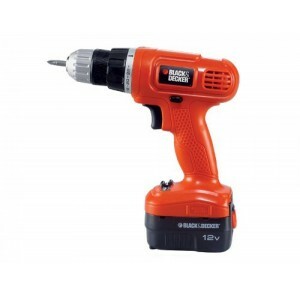 Whether for assembling flat-pack furniture or simply for re-tightening screws. 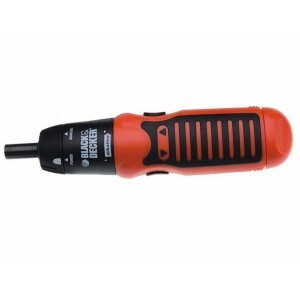 The IXO is always the right tool to have. 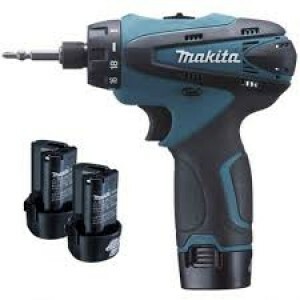 F..
Makita DF030DWE Cordless ScrewdriverModel : DF030DWEType : Cordless ScrewdriverSize : 10mmPower : 10.8v x 1.3Ah Li-Ion Battery poweredSpeed : Hi: 0-1300rpm, Lo: 0-350rpmCapacity : 10mm on steel, 21mm on woodMax. 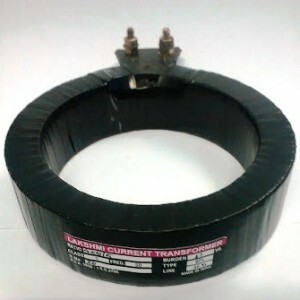 Torque : 24N.m hard, 14 N.m soft , 18..